W3Partnership provides an integrated set of Services and solutions that ensure your organisation can operate in a modern Digital environment. Our core Services focus on our expertise around building and maintaining Integration Platforms. Whether you have a pre existing Integration platform, are new to the whole concept or just looking to improve your Integration Architecture, then we can help you design, build, test and manage your environment. SMEs to help you get your Digital Integration project up and running quickly with installations, configurations, skills transfer and POCs. Whether you are new to a middleware integration product or you are not achieving the ROI that you expected, we can help. Choose between Private, Public or Hybrid PaaS solutions to meet your individual service and security needs. 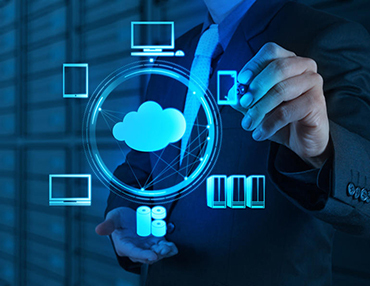 Let our experienced consultants help you make the most of your investment be it on premise, virtual or cloud based. Do you have the expertise in your development teams? Is your project a first of a kind in your organisation? We can help you to develop the solution. Gain access to our deep technical and product skills. Focused on rapid development and delivery. W3Partnership has considerable experience in the design and development of Integration Patterns and the implementation on a number of Integration platforms including IBM, MuleSoft and WSO2. W3Partnership will present you with a report of feasibility and desirability for removal of specified components of IBM SW licences or of selecting a different method of purchasing support and/or additional licences (e.g. floating user /sub capacity pricing or off premises software as a service). Experts in implementation and installion of IBM Integration Bus – IIB. We will carry out an impact assessment to identify potential technical issues in installing IIB and configuring it. An onsite analysis of the current application/connectivity requirements is carried out in order to assess the risks and impacts of client placements. The assessment is documented and includes prioritised recommendations for enabling a reduced risk transition to installation and configuration of IIB, including any additional product recommendations. W3Partnership has implemented and installed WMQ and MQ Adapters on many different client sites. We will carry out an impact assessment to identify potential technical issues in installing IBM MQ and configuring it. An onsite analysis of the current application/connectivity requirements is carried out in order to assess the risks and impacts of MQ server / client configurations. The assessment is documented and includes prioritised recommendations for enabling a reduced risk transition to installation and configuration of IBM MQ, including any additional product recommendations. W3Partnership will review your IIB (formerly WebSphere Message Broker) performance and assess the key performance and security parameters of your installation to help you realise the full value of your infrastructure. W3Partnership will simplify the process of deploying IIB to ensure you maximise the benefits of new features whilst minimising disruption. We will walk you through the key considerations and prerequisites when implementing an upgrade to the latest versions of IBM Integration Bus. W3Partnership will verify the implementation and installation of WAS against best practices. We will identify any flaws or gaps in the implementation that could affect availability and performance. We will ensure that key parameters are set appropriately to optimise usage and address key business imperatives. Graphical portrayal of the main components in the integration landscape and their relationships. W3Partnership will document your integration architecture to provide you with the transparency and visibility necessary to reduce support costs and build for the future. We provide an overview of the main systems and processes and how they interact. We can identify potentially redundant or duplicated elements and/or licenses and then provide written recommendations based on our analysis. W3Partnership will review your application estate in relation to your integration infrastructure and identify duplication, redundancy, contradiction and potential opportunities for re-use. We can optionally review your license and advise on alternative licensing methods for both current and any future WebSphere license requirements. W3Partnership’s remote development services are flexible and can be tailored to meet specific needs and underpin existing projects. Our service management portfolio currently ranges from fully managed services to individual development resources, experienced in both Agile and Waterfall methodologies. Reducing client specialist skills requirement by providing highly focused expertise and tooling. 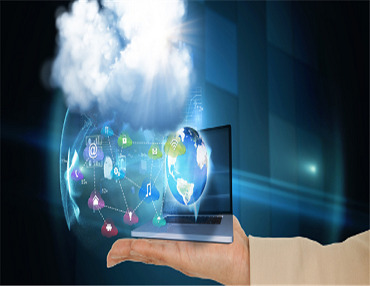 W3Partnership’s approach for Cloud Platform as a Service (PaaS) projects provides a robust framework to define the overall integration strategy and establish the functional and technical architecture, delivery approach and business governance. It includes critical tools for platform assessments, TCO/ROI models and also covers operational aspects concerning project management. W3Partnership provide OFFICIAL / OFFICIAL-SENSITIVE IaaS, delivered from Tier-3 rated, geographically dispersed UK data centres connected to PSN (both Protect and Assured), with the options for self provisioning through an API. A service underpinned by a 99.99% SLA, 24/7 support as well as a range of complimentary services such as monitoring and penetration testing. Our PaaS solutions provide the appropriate granularity, capabilities, simplicity and solution breadth best suited to your business. We use various WSO2 Open Source products to deliver our solutions. Our OFFICIAL IaaS has been built to meet demand for cloud infrastructure providing high security, enterprise-ready features and the ability to support mission and business critical workloads. 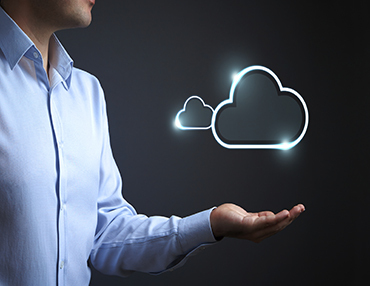 W3Partnerhip can help design and deliver a bespoke cloud-based solution. We offer a variety of packages based on either MuleSoft or WS02's products that can be tailored to meet your specific requirements.